The PlayStation 3 can play games and Blu-ray disks in high definition quality. An HDMI cable is the highest quality high definition connection that you can use to hook up your PS3. However, if your Sylvania TV does not support HDMI, you can still connect the PlayStation 3 using an alternative component, composite or S-video connection cable, depending on what types of video connections your TV has. Hooking up all three types of alternate cables is very similar. Connect a PlayStation 3 component, S-video or composite cable to the "AV Multi Out" port on the back of the console, based on what type of video connections your Sylvania TV has. The PS3 component cable has five connectors on the opposite end, and offers high definition quality. 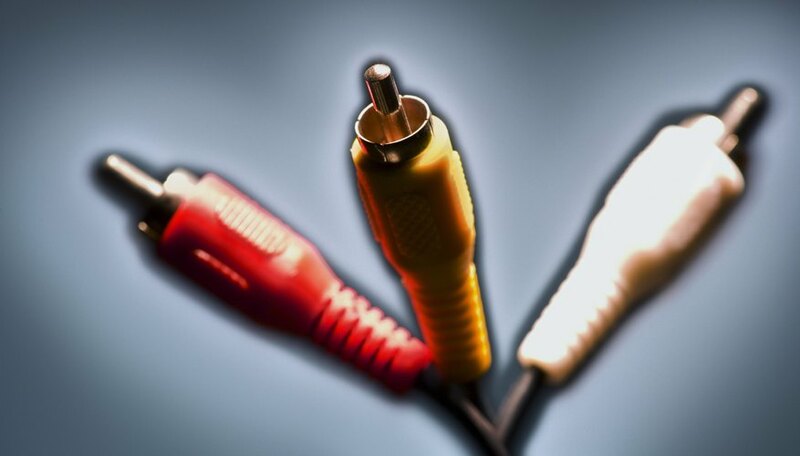 The S-video and composite cables both have three connectors on the opposite end, and offer standard definition quality. Route the cable to the connection ports on the back or side of your Sylvania TV. Component AV inputs have a blue, green and red RCA video port as well as a white and red RCA audio port. S-video inputs have an S-video port as well as a white and red RCA audio port. Composite inputs have a yellow RCA video port as well as a white and red RCA audio port. Plug the colored connectors from the component, S-video or composite cable into the color-coded ports on the back or side of the TV. Turn on the TV and select "Composite," "Component" or "S-video" as the video input source, based on the type of connection you used.